AUCH, FRANCE - MAY 11: Two People Are Checking Their Archery.. Stock Photo, Picture And Royalty Free Image. Image 19711647. 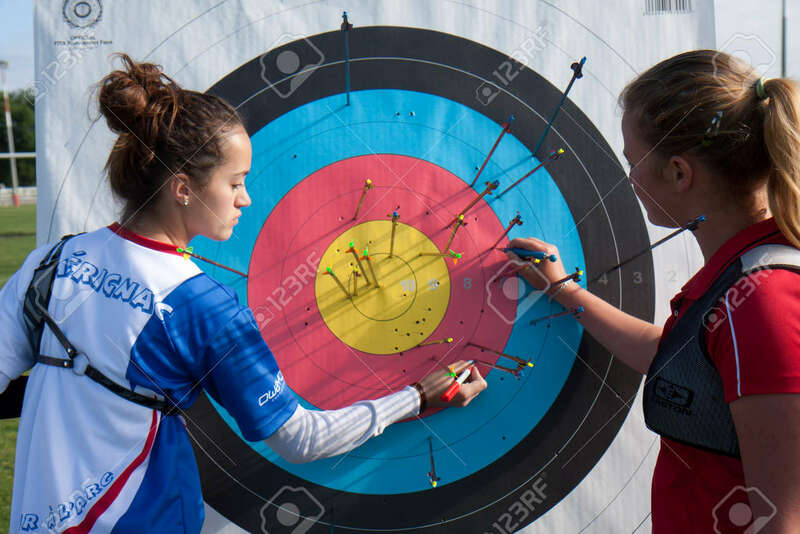 Stock Photo - AUCH, FRANCE - MAY 11: two people are checking their archery accuracy, at the National competition for young archers, on May 11, 2013, in Auch, France. AUCH, FRANCE - MAY 11: two people are checking their archery accuracy, at the National competition for young archers, on May 11, 2013, in Auch, France.